Most of us have been there: you’ve planned a trip that you’re really excited about. You consider yourself to be a prudent, fairly organized person, so, thinking ahead, you’ve created a brilliant itinerary to make the most of your limited vacation time. You feel like you have the perfect balance of active and leisure time, and you’ve even built in an experience of the local culture to help you broaden your horizons and appreciate something you know you won’t find back home. Now all you need to do is stick to the plan and everything will work out just as you expect it to. But then your flight gets delayed, or it rains on your day of leisure. Or, you try one of the local dishes and it doesn’t sit well with you and now you’re debating whether to skip your paragliding adventure on account of an upset stomach. If you’re with your kids, maybe they’re getting bored walking around that ancient temple you’ve been talking up to them (you can’t believe it), or maybe they got sunburnt yesterday at the beach and have spent most of the day complaining about the pain. The list of variables of what can go wrong on a perfectly planned vacation is long. While these might not be the same as what we find on our personal vacations—for example, we can usually count on a private Destination Management Company (DMC) to handle our transportation challenges—there are others that deserve some extra consideration. This is such an important component when it comes to planning an incentive trip that we devoted an entire blog to addressing it. I won’t repeat everything that was said there; I’ll just mention that if you assume every member of your program audience will be grateful to attend a Caribbean cruise or stay at an all-inclusive golf resort in the Dominican Republic, you might be in for an unpleasant surprise. The Fix: Before you put a deposit down and start securing room blocks, take the temperature of your audience beforehand. Send out a survey asking them where they’d like to go (you can provide a few choices to simplify it) or initiate the program with a questionnaire that will collect some of the important information about their preferences and backgrounds. 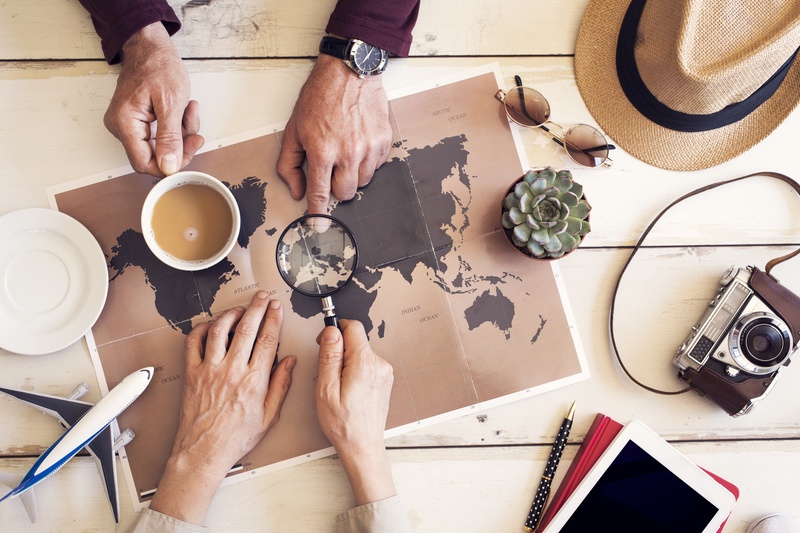 Cost is frequently the key factor of trip-planning, and it’s easy to understand why when the average group travel experience can run as high as $4,000 per-person. But if you’ve recently been hearing rave reviews for a resort that’s just opened in the area you’re looking to go to, does it make sense to turn down an opportunity to take your group there just because it’s going to cost you an extra $200 per person? In other words, is saving that extra 5% up front going to be worth the lost Return on Experience (ROE) that would’ve been achieved by going to this new, exciting—and probably superior—property? After all, you want the trip to be something your participants will remember forever and always associate with you and your organization. The Fix: Instead of having a hard cap on your program budget, identify a range that you’d be comfortable with. Giving yourself this flexibility will mean you’ll be open to both savings as well as opportunities. Try to keep in mind that an incentive program is an investment, and compromising on the quality of the experience can negatively affect that investment in the long run. The trip should feel like a well-deserved reward, not simply a paid vacation. You’ve introduced your fabulous incentive trip with an eye-catching announcement. Hooray! Now that your audience is aware of the trip, they’ll be thinking about it whenever they’re conducting business, right? If truth be told, your participants will probably have a hundred other goals they’re pursuing in their lives, of which the incentive trip is just one. Sure, they might not completely forget about it, but it also might not be top-of-mind until the very end of the program. Buzz, hype, momentum, these are all important elements to a program, and if you don’t provide timely, consistent, and engaging communication touches throughout the promotional period, your participants may end up feeling uninspired about the trip when it finally arrives. The Fix: Whether it’s every week or once a quarter, lighting that spark of excitement for your incentive program—be it through social media, email, or colorful print pieces—is going to help ensure your participants are eagerly anticipating the trip up until the moment they board the plane. This can include descriptive language about the hotel or compelling imagery of the destination. Giving your marketing communications a theme, such as “One thing I love about [the destination] is . . .” or creating a Facebook or Instagram account for the trip are also great ways to generate excitement and keep your audience engaged. Finally, you could also spice things up by adding a “mystery excursion” to the trip, offering one hint with each communication and soliciting guesses on the program website. Safety is the number one priority on any incentive trip. But with that being said, there’s a difference between an incident and an epidemic. In other words, while the nightly news might get a ratings bump from highlighting the latest grisly incident involving a tourist abroad, these are almost universally exceptional cases. Among the most popular incentive travel destinations, only Mexico has received a significant number of government-issued travel warnings for Americans traveling abroad. This in itself might give you pause and lead you to consider changing your itinerary; however, most of these warnings tend to be regionally specific and aren’t even connected to the most popular tourist locations. The Fix: Although it can be hard, especially when your participants are contacting you about their trip and asking if they should be worried about their safety, it’s always best not to overreact to isolated incidents abroad. But it’s also a good idea to get out in front of these concerns, so if the issue of safety comes up, find out what the real risk is before you make any decisions and communicate these findings to your audience. They’ll trust your judgment and authority on the matter. You can also point out that America has the highest rate of gun violence in the developed world, and that a trip to Cancun is on average going to be safer than a trip to Washington D.C. These are just a few of the things to avoid when organizing an incentive trip. To find out some of the things you should be doing, contact us at 888.220.4780 or marketing@hmiaward.com.